This assumption is quite incorrect, according to the postulator of her cause and editor of several works about Mother Teresa, Father Brian Kolodiejchuk, M.C..
ZENIT asked Fr. Kolodiejchuk to tell us more about this saint and what we still need to learn from her. ZENIT: Mother Teresa is so well known and much loved by the whole world. What do you think we need to learn about her by reading a more in-depth biography? Fr. Kolodiejchuk: Indeed, Mother Teresa is generally known as an icon of love and compassion to the poorest, the weakest, those on the “peripheries” of human existence. She is loved and admired as a universal icon of mercy, a truly extraordinary person. Nonetheless, I don’t think she is that well known among the younger generation; many children, teens and young adults have very little or even no knowledge of her life and message. Even many of those who know of Mother Teresa do not have more than a general knowledge of her life, work and message. This can be seen by the reactions to the books that I have edited over the last years. Each book reveals something new about Mother Teresa and so have “surprised” in some way its readers: Come Be My Light, with the revelation of her interior darkness that she embraced in union with the poor she served; Where There is Love, There is God, revealing her deep and simple wisdom on important spiritual themes, like faith, love, trust; and now A Call to Mercy, showing her “love in action” through the practice of the corporal and spiritual works of mercy. This book clearly reveals her preferential love to the poorest and neediest. I think that most people can still learn a lot about Mother Teresa. She has been a prophet in our times and her message is still essential for the world today. She made us aware of the presence of the poor, the dignity of each person, of the value of human life from conception to natural death, of the call of everyone to their real mission on earth, that is, to love and to be loved, to love until it hurts, to be holy. The source of Mother Teresa’s energy and zeal was not an idea, not a concept: it was a person – Jesus – whom she wanted to love as He had never been loved before. She testifies to the world that the teaching of Jesus is true; she lives it and puts it into action. Her firm belief in the words of Jesus in the Gospel of Matthew, “You did it to me,” made others aware of the presence of Jesus in the poor, or as she said, in “the distressing disguise of the poorest of the poor.” It was a reality that she brought home to many. So there is still a lot to learn from her and about her: her faith, her interior life, her character, her relationships – first her relationship with God, and then her relationship with her family, her Sisters, her closest collaborators, and especially with the poor. There are also a lot of interesting things about her that will fascinate readers, for example, her common sense, her remarkable energy, her sense of humor and certain of her “particular practices” such as changing furniture in the house. An in-depth biography will be my next major writing project, which I hope will bring to Mother Teresa’s admirers, and readers in general, a compelling picture of who she really was. ZENIT: The title of this newest book, A Call to Mercy, obviously highlights the jubilee we are now living. What do you think St Mother Teresa has to tell the Church about mercy? Related: Read an excerpt of ‘A Call to Mercy,’ a collection of never-before-published words of Mother Teresa, given to ZENIT here. Fr. Kolodiejchuk: Mother Teresa’s message on mercy is not an elaborate theological explanation and neither is this book. Rather it is a practical and very down to earth expression of how “mercy” reaches “misery.” It shows a way that we all can identify with: when we are at our lowest, it is then that we most need God’s mercy and it is then that we experience it most tangibly, either directly or through some intermediary, as Mother Teresa was. A Call to Mercy demonstrates how Mother Teresa recognized her own need of God’s mercy, how she opened herself to it and also how she extended it to others. Thus by her example she really can serve as a “teacher” of how to practice mercy, of how to be merciful. Mother Teresa teaches us that as we surrender ourselves totally to God, He uses us to spread mercy, to touch hearts. And then Jesus takes over and accomplishes “miracles” as He did in Mother Teresa’s life, touching literally millions of lives, giving them meaning, helping people to realize that they are loved and capable of loving. Mother Teresa teaches us that mercy also heals the giver of mercy, that it is more blessed to give than to receive. The whole life of Mother Teresa teaches us that mercy – concrete, efficient, tender, meek, kind, joyful – for our brothers and sisters is a fount of life that has its origin in the mercy of God and the profound conviction of one’s own need for mercy. Mercy in action, as seen in Mother Teresa’s life, shows us that once a person is merciful, Jesus enters into these actions and multiplies the graces given and received. Mother Teresa, as shown in this book, touched millions of lives and achieved much more than what one ordinary person can achieve using only human resources. Once focused on Jesus and His mercy, nothing is impossible for the one who loves Him. ZENIT: September will represent the final page of the great project of overseeing her cause for beatification and canonization. Could you give us some insights on how the cause unfolded? One would presume that since her sanctity was universally recognized long before her death, the process would have gone smoothly. Were there any hiccups along the way? Fr. Kolodiejchuk: Mother Teresa’s holiness was already very much recognized and acclaimed during her lifetime. Many people made remarks such as, “If she is not a saint, then who can be?” Others would say, “well, do it fast already,” when the question of her beatification was discussed. All of this only confirms Mother Teresa’s worldwide and practically universal reputation of holiness. This actually led Pope John Paul II to waive the five-year waiting period needed for any candidate’s cause to begin. However, this exception did not waive the process itself. The requirements of the canonical process were fulfilled fully and thoroughly at every phase. This involved a lot of work, since Mother Teresa was a worldwide figure and testimonies and documents had first to be gathered from a vast number of sources. Thus the diocesan phase in Calcutta began in July 1999 and ended in August of 2001. The roughly 35,000 pages gathered were brought to Rome in 81 volumes of approximately 400-450 pages each. The study of her life, virtues and reputation of sanctity – the approximately 5,000 page Positio – was done meticulously, although in a relatively short time (by Easter of 2002), so much so that one of the theologians that studied it remarked that the work done in so short a time was almost a miracle in itself. Mother Teresa’s living of the Christian life was confirmed to be heroic by a decree of Pope John Paul II in December of 2002. The miracle attributed to Mother Teresa’s intercession, which was studied in the Congregation for the Causes of Saints after the judgment on heroic virtue was made in the Congregation, was also accepted officially by the Holy Father on the same day as was the confirmation of her heroic Christian life (an exception that was previously made for Pope John XXIII). We can say that the process was both easy and challenging: easy because people would happily and generously cooperate because it was for Mother Teresa, and challenging because the work of gathering the required information was carried out literally across the globe. I have to say that especially during the months of working on the Positio my team and I had a palpable awareness of God’s action, of His grace working with us and for us because of the prayers of many, in particular of our contemplative Sisters who all “adopted” by name the member of the team. ZENIT: A last question: There are testimonies in the book from people who say that Mother Teresa is continuing her works of mercy even now — that she continues to appear and serve the needy. Could you tell us more about this? 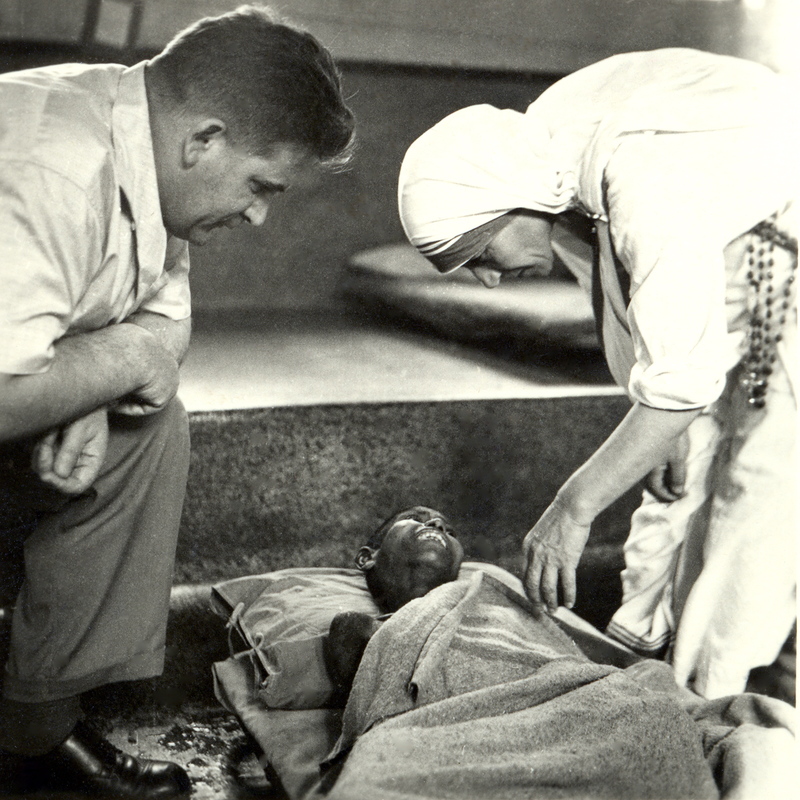 A conversion of heart through the intercession of Blessed Teresa of Calcutta. I felt an inspiration from God to pick up the prayer booklet: A Novena to Blessed Teresa of Calcutta: “Jesus is my All in All” …I felt especially drawn to one of the passages of the novena which spoke of Jesus’ love. I felt the Holy Spirit being poured into my soul, with a particular joy for loving as Christ does. 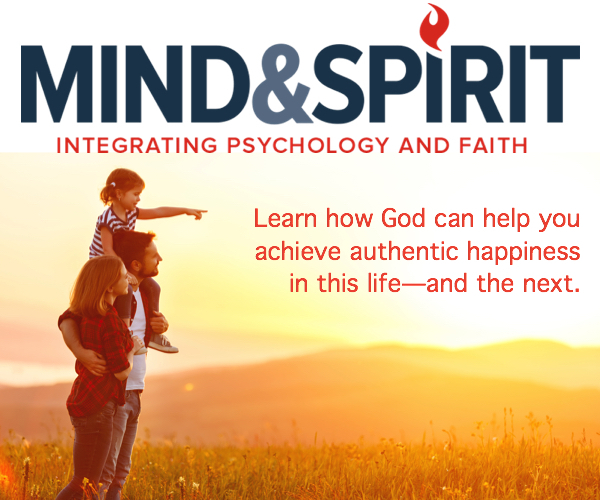 The prayer that I read transformed my heart, as l had been depressed and felt little emotion or love in my heart… I knew that it was a miracle because it happened immediately, and I felt a newness of life in God’s Spirit. I feel the Lord working in me to show Christian love to a mother and her child. The child looked so sad, and I felt that Mother Teresa’s spirit also would reach out to that child because of her love of Christ. I felt then Jesus actually calling me to help others and that my vocation would be to love Jesus. In 1993, I had become pregnant with my third daughter and my marriage was in a serious crisis, divorce and abortion was a definitive option. For me either could have been easy to do; I lived a divorce as a child and had two abortions before. God chose a better path for me, where both my husband and I were able to reconcile and saved my daughter’s life. Even though I had lived this miracle, I still did not return to God and His church. When Mother Teresa passed away, it was all over the news. I was not too familiar with Mother Teresa. About 2:00 AM in the morning of September 7, 1997, I was awakened by what I heard “Acts 2 and 3” repeatedly. I was too sleepy and said to myself, this must be from the Bible. I closed my eyes to fall asleep, when I could see Mother Teresa looking at me sternly, not speaking, but I could understand, “Get up.” I answered “Mother?” I became scared because of her stern look at me. I got up, went to the closet where I had put away the Bible and read Acts 2 and 3. The presence of God was there while I was reading each word; each word went within me, as part of me. That morning at 10:00 AM, I went to Mass for the first time in a long time and God has not let go of me since. My family is part of the Church. Slowly the Lord has been healing every sin, still each day. I immediately began reading about Mother Teresa, and slowly began to figure it out. In heaven you continue doing the work you were doing on earth, and Mother is doing so. On earth she took care of the poorest of the poor, in heaven she still does – God felt that I was one for her – she picked me up- she carried me. I keep this as a treasure.